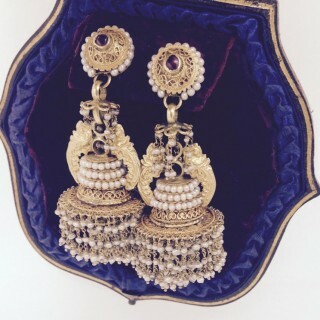 Fabulous Karanphool Jhumki. Indian Gold tiered Drop Earrings set with a cabachon ruby to the top of each with 412 pearls suspended on gold chains and 154 pearls set within the earrings. 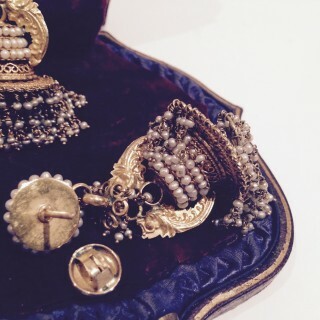 Each earring has 58 gold chains from which hang 206 pearls. High Carat gold screw posts with high carat gold substantial butterflies to the back of each. These earrings and fittings test 22-24 carat.